Today saw the launch of a advertising campaign for Kenwood USA featuring some of Tim's automotive work. The client commissioned Tim to produce this work based on his style and ability to create dramatic inspirational photography. 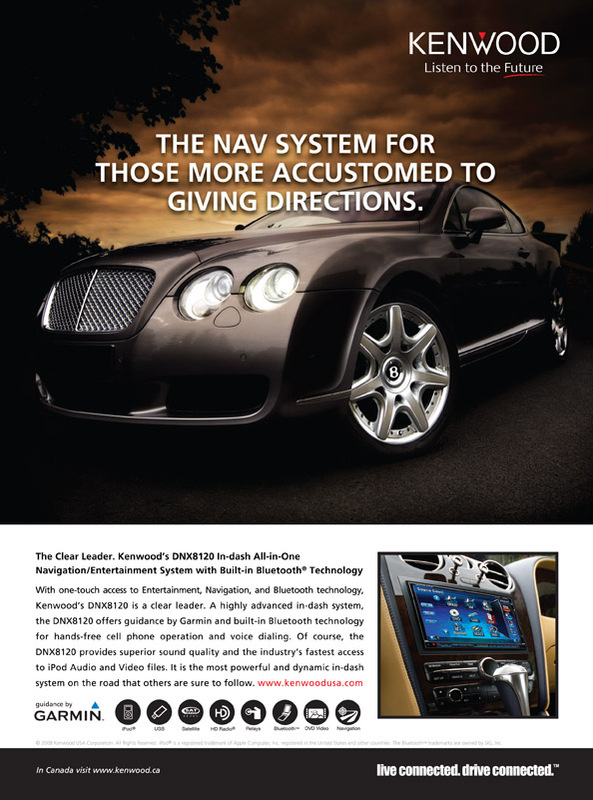 The campaign will run throughout the US and Canada and is to promote the new Kenwood DNX8120 all in one Navigation / Entertainment system with built in blue tooth technology.